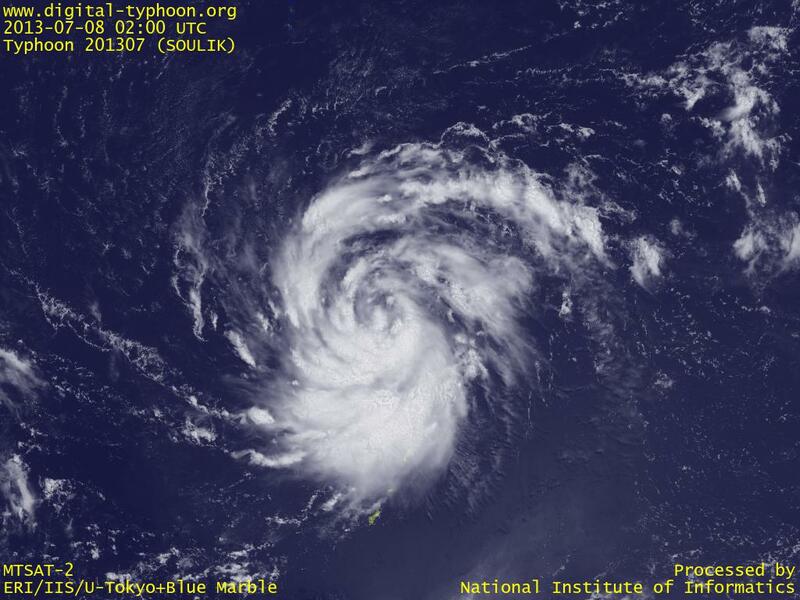 Typhoon SOULIK was formed in Mariana Islands. It is now passing islands in north of Sapian, and Saipan is outside of the gale wind circle. It is forecast to keep moving west with a steady pace of intensification.